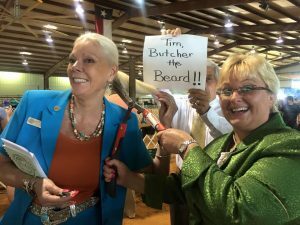 Jill Bell, right, and AKC rep Sue Vroom during the “Butcher the Beard” campaign for SHCL. 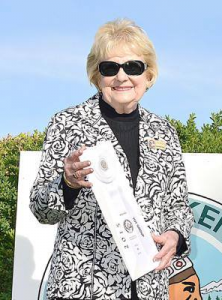 Jill Bell, former professional handler, now working as a superintendent with Onofrio, joins me to talk about the good work of the Southern Handlers Charity League. Created in 2001 by a group of handlers in response to a death in the dog show family, Southern Handlers Charity League (SHCL) raised money to help with funeral costs. 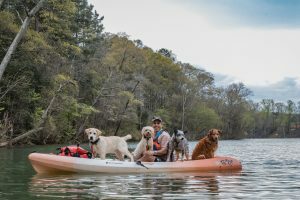 In the intervening 17 years, the non-profit has helped all kinds of people in the purebred dog community, Bell said. 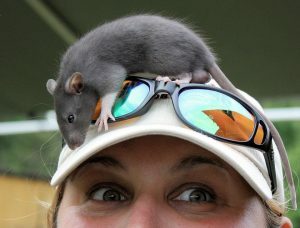 Owner handlers, photographers, judges, anyone in the sport, Bell said, have been assisted by the organization. The group raises funds through potlucks, raffles, and creative events like the “Butcher the Beard” contest in which Onofrio’s own Tim James agreed to shave his renowned beard for charity. 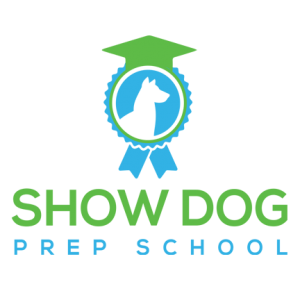 Centered in Texas and the southern region, SHCL is proudly supported by the dog show superintendents, professional handlers and vendors. Their current undertaking is massive. 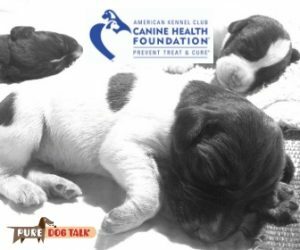 They have joined forces with Florida handlers and are sponsoring three different huge projects in Orlando, Fla. during the week of the AKC National Championship. 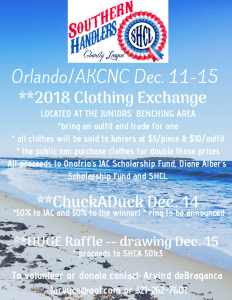 A clothing exchange and shopping spree opportunity specifically for junior handlers, with clothing available to all exhibitors for purchase. A donation fund has been established to provide juniors with coupons to shop free if they need assistance. This massive shopping opportunity will be staged at the Juniors Benching area, courtesy of AKC and Michael Canalizo. Clothing will be available from Tuesday to Saturday, with new items arriving daily. Proceeds will be divided between two different junior showmanship scholarship funds. 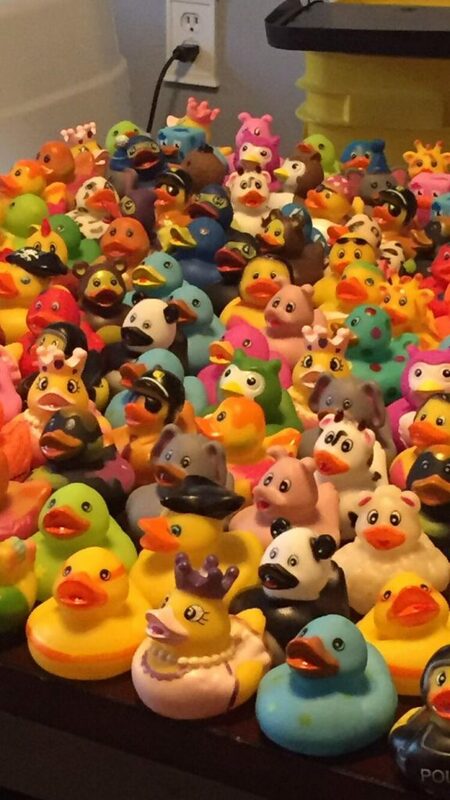 A “chuck a duck” 50/50 competition to benefit the Onofrio Junior Achievement Challenge Scholarship on Friday. An enormous raffle, with the drawing on Saturday. “This is an opportunity for everybody to work together for the betterment of the kids and the fancy,” Bell said. 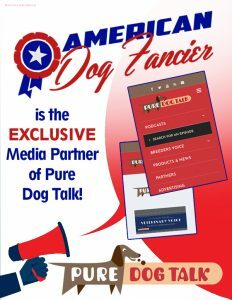 Remember to listen for Allison Foley from the Leading Edge Dog Show Academy on how to “carve the picture” of the ideal dog while trimming.